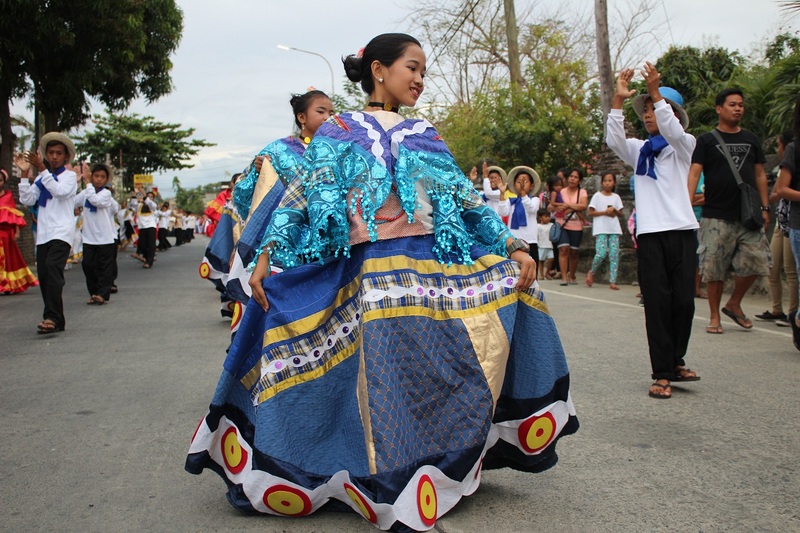 For me, one of the best times to travel in any provinces of the Philippines is during celebration of local festivities. Sure, it would be a challenge to find an accommodation and everything is much expensive than usual but I tell you it is definitely worth it. For this year, I was lucky enough to have seen some of the best local festivals in the Philippines. When we visited Antique, we didn't realized it was also the season for Ati - atihan Festival in Kalibo Aklan. On the way to returning back to Manila, we made sure to squeeze in some time for us to share the street dancing and have some fancy colorful tattoos painted on our faces. While I never had a chance to blog about it, I was able to do a travel guide to Kawa Bath in Antique. You can click HERE to read about WHAT TO DO, WHERE TO STAY AND TOUR CONTACTS in PANDAN & TIBIAO, Antique. My most recent is joining the Kadayawan Festival in Davao. You can click HERE to learn more about it. Would like to credit Mon Villaverde of Terrific Traveler blog for taking photos via my Canon DSLR camera, Perry Sumakote of Explora.ph for the opportunity to join this trip and Bernard Guerero of Local Government Unit of Paoay Tourism Office who welcomed us. Bernard already said yes to me as an official participant of this trip before I agreed to represent Explora as the writer for this festival. This review was written different from the one I have contributed and posted many months before I submitted my entry to Explora. 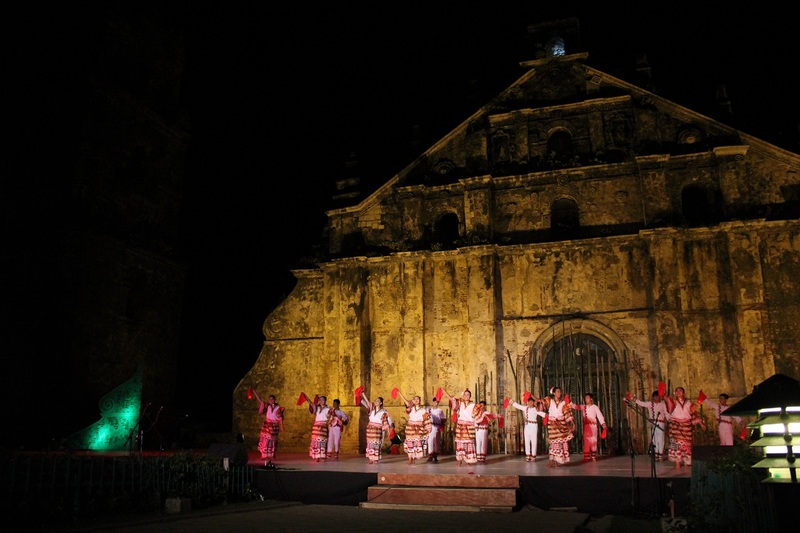 This post is dedicated to Guling Guling Festival held every first quarter of the year in Paoay, Ilocos Norte. It wasn't my first time to visit Ilocos Norte but I would say that it was the best trip ever because I learned so much about this town because of celebrating Guling Guling Festival with them. Every year, Guling Guling Festival is celebrated the day before Ash Wednesday. By the way, the word “guling” is an Ilocano word that means “to smear” and it is the only known local version of Fat Tuesday or Mardi Gras Festival in the country. Having said this, Guling Guling Festival's idea is like this. 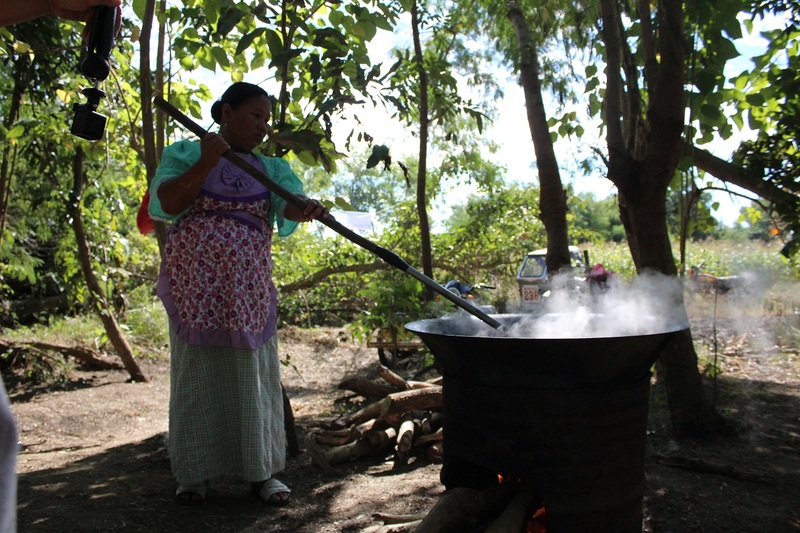 Before the Lenten season starts, the locals of Paoay celebrate the last remaining day to do what they want to do like eating a lot, drinking too much et cetera. In this time of the year, the ruling mayor gathers the people then smudges a sign of a cross made from damp flour powder to their forehead one by one. 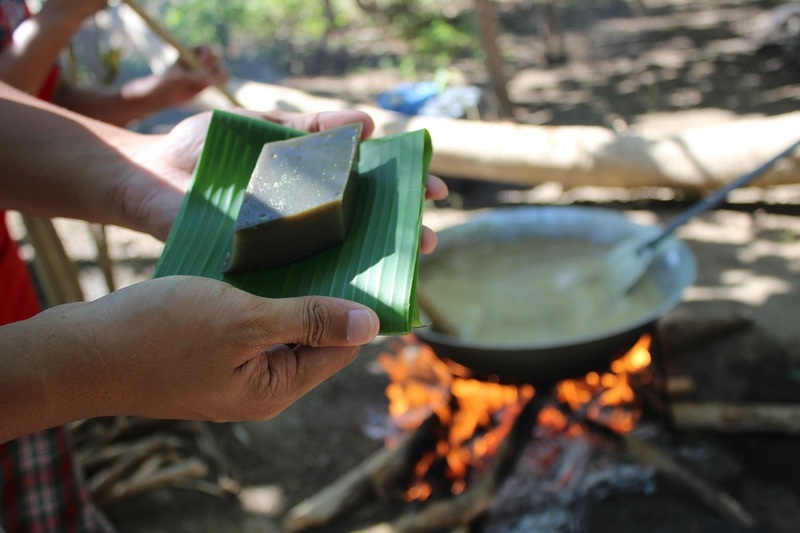 The highlight of the eating ceremony is this special pair of local delicacy served to everyone: small slices of dudul (ingredients are glutinous rice cake, coconut milk, & sugarcane) and cups of basi (sugarcane wine). I tell you, it feels so surreal after having smeared by this white powder thingy on my forehead. Same feeling I get from a Catholic priest every Holy Week. 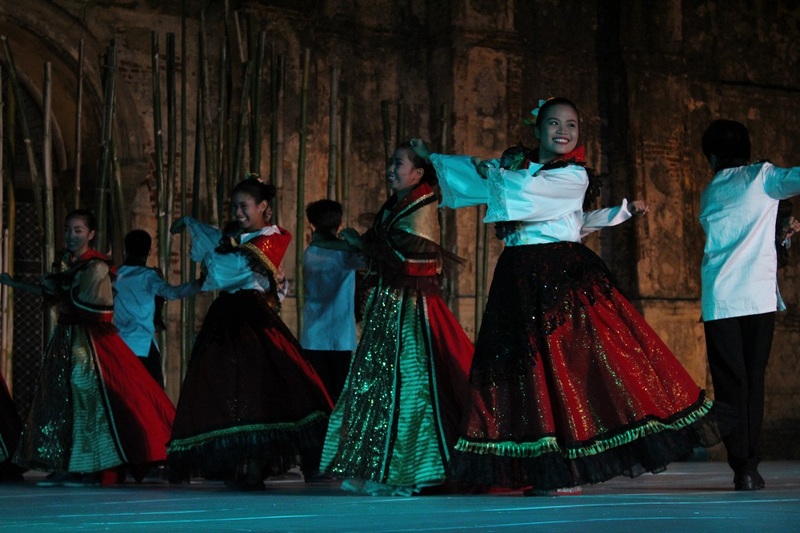 To keep this festival alive to the next generations, the local tourism office made it as a series of celebration for five days recognizing the best of Paoay from contests that showcase the talents of Paoayeños to the most-awaited street dancing competition participated by nearby towns. The 2017 Guling Guling Festival happened just a few days after my birthday which was from February 24 until 28. Itinerary of Guling Guling FestivalFor the first few days they did the opening ceremony, street dancing / flash mob presentation, cultural night, and photo exhibit. There were contests for the youth such as quiz bee, photography, poster slogan, public speaking competitions, and a lot more. In the middle of the celebration, we were so privileged to join as one of the guest judges of the dudol cook - off challenge. Participants from different schools cooked dudol with a twist this time. They did it on the spot by replacing ingredients and introducing new variants from the original recipe Guests and judges were able to witness the rigorous stirring of dudol making that took up to five hours to finish! We also saw this wooden device to extract sugarcane juice that's operated manually called "dinapilan". I just don't personally like it because it uses a carabao that's blindfolded with one yes only. 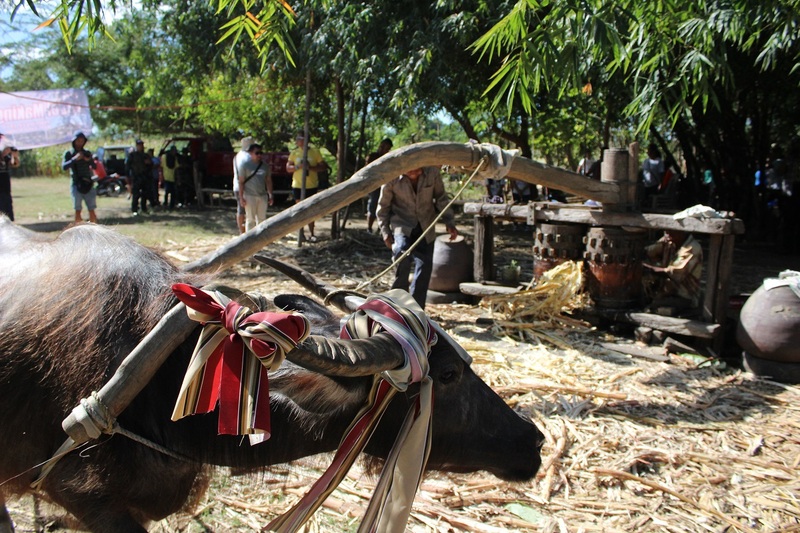 This carabao will be going round and round 360 degrees to carry that heavy lever that extracts that juice out of the sugarcane. 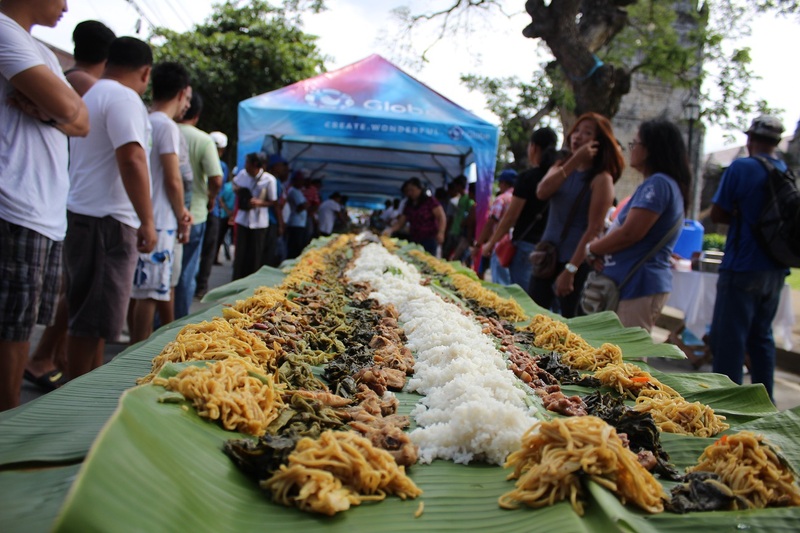 The public was also treated to a free boodle fight session: eating bare hands some of Ilocano’s best dishes such as pinakbet (combination of vegetables boiled with a bit of bagoong isda or fish paste mixed with pork) pizza, tinuno nga tilapia (grilled tilapia), pancit canton (local noodle dish), and KBL or kalamansi, bagoong & lasona (citrus lemon, fish paste, & tomatoes) over heaps of rice. For the last two days they did some fitness activities (zumba and fun run) and of course the most awaited grand parade and street dancing competition. 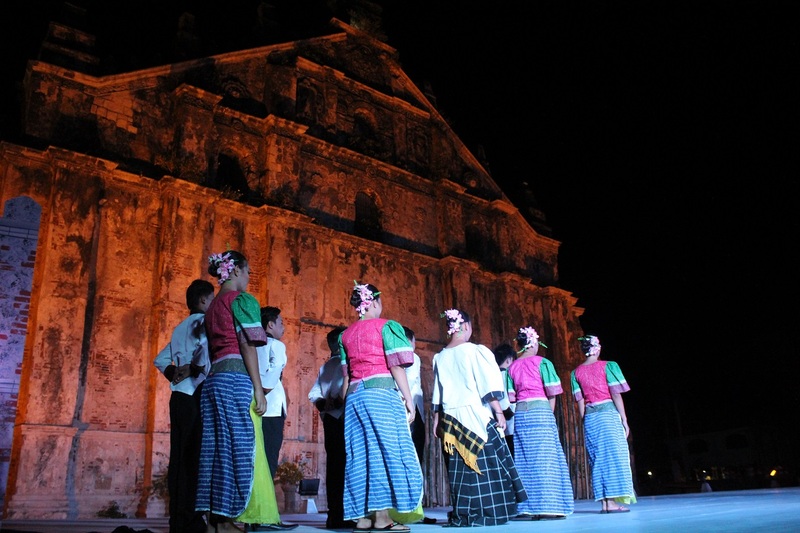 Six groups of contingents wearing Filipiniana dresses adorned by abel iloko (woven product in Ilocos) competed to the tune of sabunganay, Paoay’s very own local music. The rest of participants are Pamulinawen Laoag, Pinakbet of Marcos town, Damili Festival of San Nicolas. A consolation price of Php 10, 000 to non-winners were given per group. Judges were flown all the way from Manila who are representatives of NCCA (National Commission for Culture and the Arts), CCP (cultural Center of the Philippines) choreographers, professional dancers and culture & arts enthusiasts. 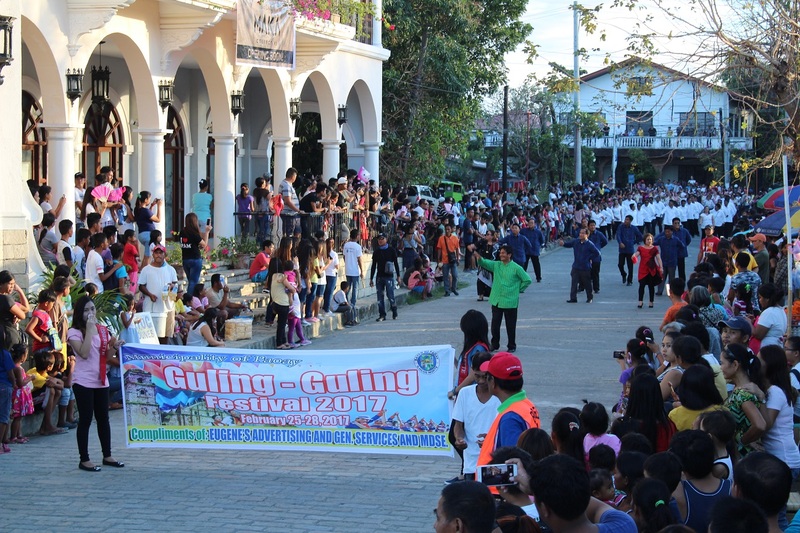 Guling Guling Festival is one of the few festivals in the Philippines that is funded by NCCA. It is also community-based collaboration, not by school basis. Unlike other famous festivals in the country that only feature young dancers, Guling Guling Festival is made of up to 60 dancers of all ages. I just don't know why it still remains as Philippines lesser known local festivals when it is as colorful and rich in history like the famous ones. It is NOT just a celebration for Catholics alone. 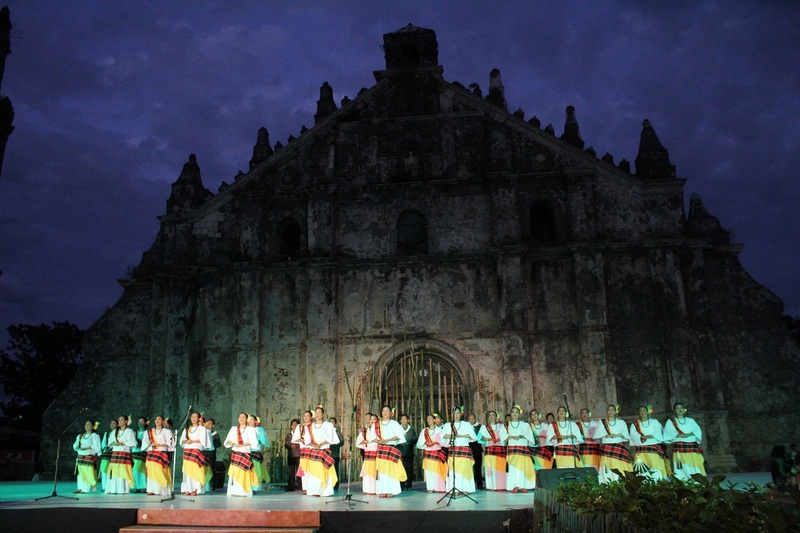 This is a festival of the people of Paoay regardless of their religious affinities. 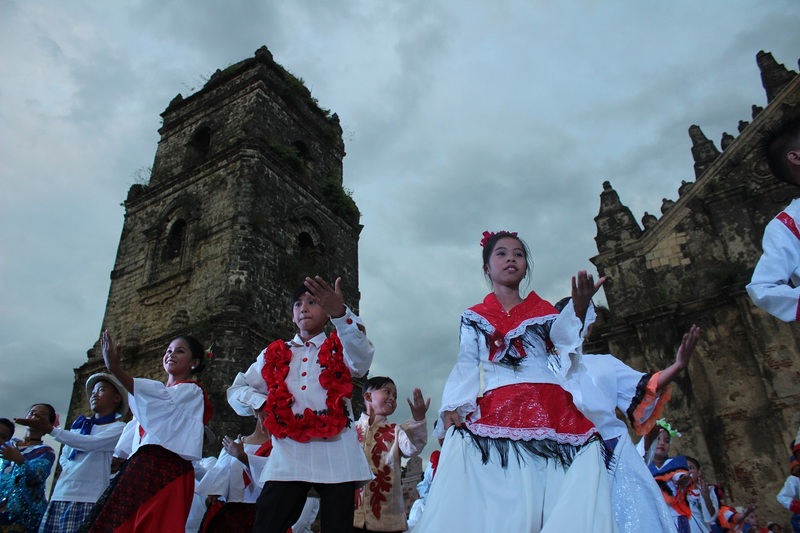 At the start of this festival, young dancers from the streets find their way to reach the Paoay Church for the final street dance showdown. 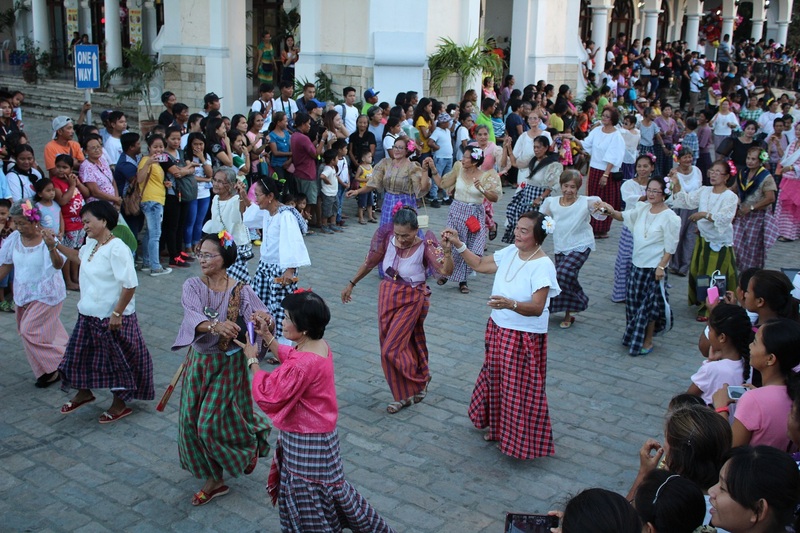 I also saw some participants coming out from the Aglipayan Church dancing until they reach the rest as well in Paoay Church. The town of Paoay is dominated by Aglipayans. Only 30% are Catholics. 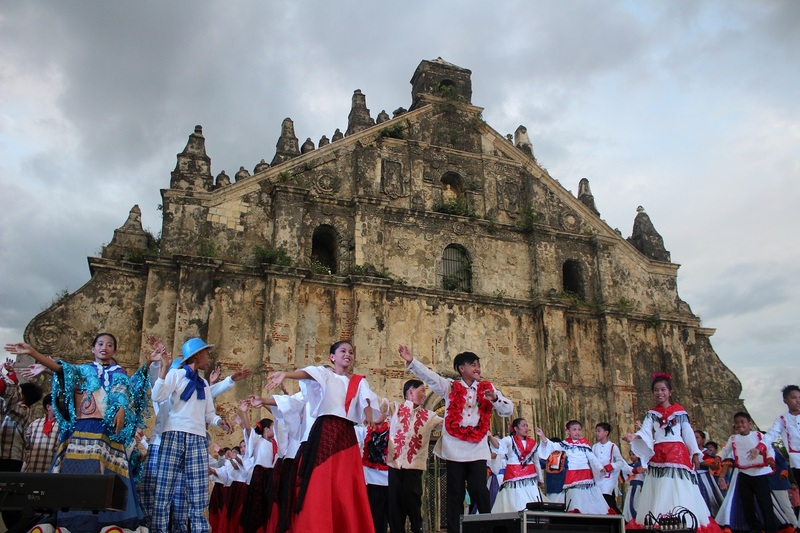 There are a number of historical spots in Paoay that are always overlooked by tourists. 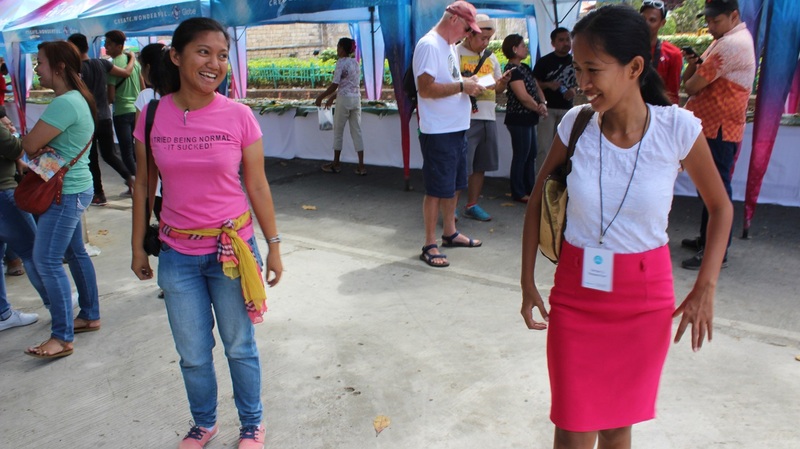 LGU Paoay offers a FREE DIY walking tour near the premises of Paoay Church. It's my first time to see a local festival where the Mayor down to the local barangay officials are very hands on to the activity. 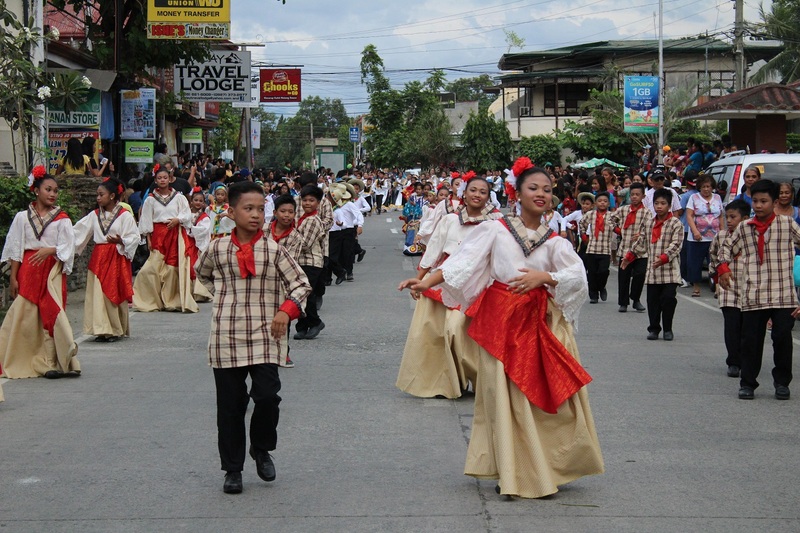 In fact, they were also dancing and dressed in local attire and the first ones in line during the last day of street dancing competition. FLIGHT Cebu Pacific, AirAsia and PAL flies daily from Manila to Laoag for 45 minutes to 1 hour travel time only. COMMUTE Take a bus (Partas or Victoria Liner ) from Cubao or Pasay that will take 10 - 12 hours long.